Tomorrow we fly to Frankfurt, Germany for a two-hour lay-over before heading home to Toronto. 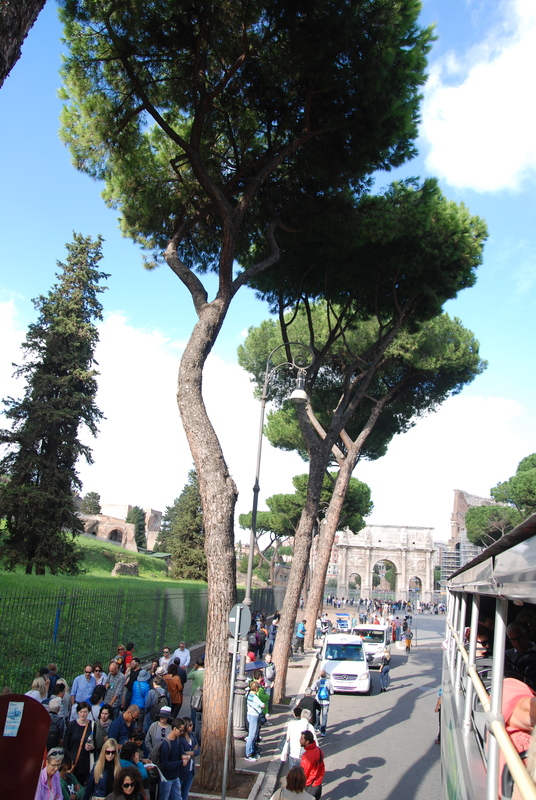 Excluding travel days, we will have enjoyed seven full days in Italy, six of those in Rome, one in Naples and Pompeii. It has been an amazing trip with my girl, one I hope neither of us will ever forget. 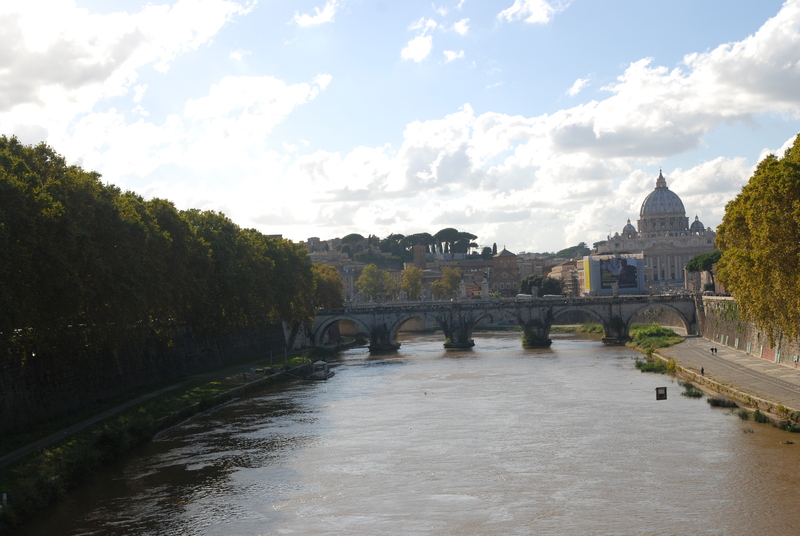 Our decision to stay in Rome for almost the duration of our trip seemed to perplex many other travellers. Cate and I really wanted to get to know the city and give our full attention to each site. We wanted to see how people local to Rome live. Mainly we wanted to wander around the city, and so that is exactly what we’ve been doing. In order to save a little money, we stayed in a hotel a little outside the city centre. This meant learning to navigate the transit system, a system that services the city well and is very, very busy. Each day involved multiple bus and subway rides, many of which were at peak hours. Cate and I managed to stay close. I’m proud of how well she managed the crowds. 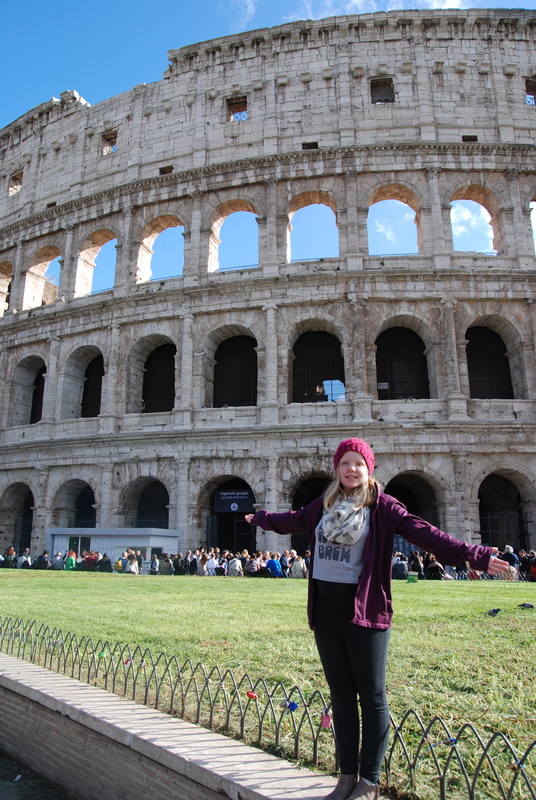 We found it awe-inspiring to stand in places like the Colosseum and the Pantheon. We were stunned by the size of Pompeii and how “modern” it was. Cate routinely used the word ‘breathtaking’ to describe how she felt about something. Touching something built thousands of years ago is surreal. For me, being surrounded by such history has a way of enlarging my worldview, while simultaneously making me feel very small. 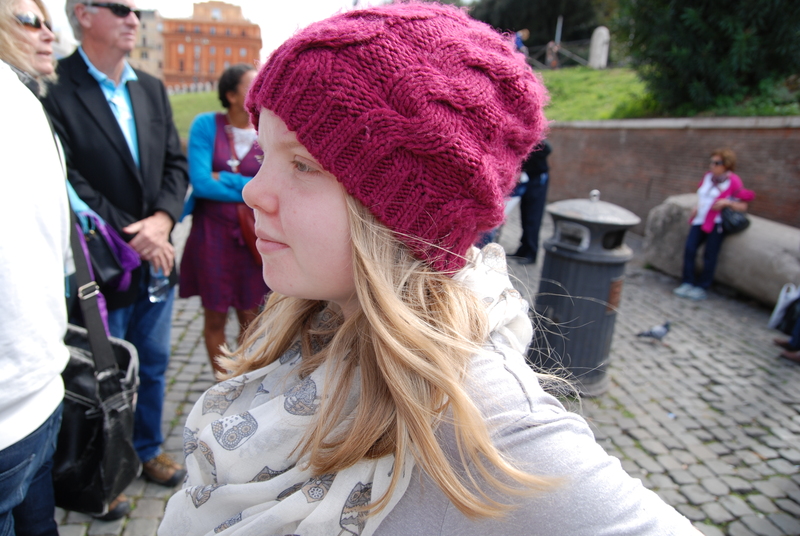 Yesterday we heard the Pope speak, wandered through St. Peter’s Basilica and walked up the narrow steps to the dome. As we stood looking out over the city I found myself thinking of Jesus, wondering what He would think of the way one of the birthplaces of Christendom has evolved. At one point Cate said, “how does it feel to be a part of the building-less Dale standing in here?” My only response was, “strange”. Today we plan to re-visit our favourite spots, including restaurants. We started the day eating cornetto al cioccolato (Italian equivalent of a chocolate croissant) and will probably finish it with pizza. We will add to the thousands of pictures we’ve both taken. The Leonardo da Vinchi museum is calling our names. Most of all, we will be grateful. I hope that one day, should Cate have a child of her own, that a similar trip will happen for them.